New Delhi: Businesses in India are adapting to water scarcity. Most sectors are feeling the heat of recent droughts, leading to increased costs of raw materials, says a survey of mega companies operating in India. 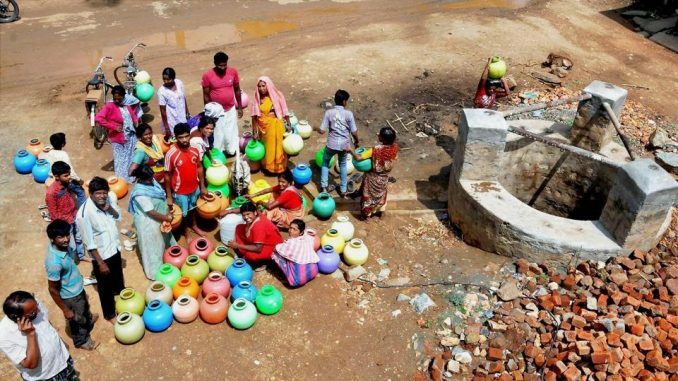 It says despite flooding in several states, water storage in reservoirs across India is 55 per cent of total capacity compared with 84 per cent on an average during the same period over the past 10 years. The survey, of over 10 large Indian and multinational companies with a net annual revenue exceeding $10.5 billion, was released by CarbonCopy on the sidelines of the two-day Business and Climate Summit here. Citing the case of food manufacturer Kellogg’s, which depends on agricultural produce, change in climatic conditions and poor monsoon is said to have caused it additional costs in procuring raw material. Last year saw the highest ever price of corn. Kellogg takes climate change seriously and has increased its water storage capacity at its manufacturing units. “We are committed to addressing the critical issues of climate and food security, and we’re helping tackle the inter-connected issues of hunger and robust food systems,” Kellogg’s Asia Pacific President Amit Banati said. Survey participants linked drought, fossil fuel use and climate change, and were concerned about the future effects of climate change on their operations and customers. Some businesses are taking strong action to cut emissions and prepare for the impacts of climate change. Several expressed a desire for the government to introduce regulations and incentives to reduce emissions, and to ensure that water supplies continue to be available. Last year, the drought in Tamil Nadu was the worst in 140 years, causing a 12 per cent drop in tea production in south India. A coal power plant in West Bengal had to shut most of its power-generating capacity for 10 days in 2016 because it did not have enough water for cooling — the first time it had done so in its 30-year history. This year, eight Indian states declared drought, causing the central government to release Rs 25,000 crore prematurely towards its MGNREGA scheme for guaranteed employment. “We conserve water through water harvesting. We make our plants two to three times water positive by harvesting more water than we use. The government helps us set up water harvesting systems,” said Dalmia Cement Group CEO Mahendra Singhi.